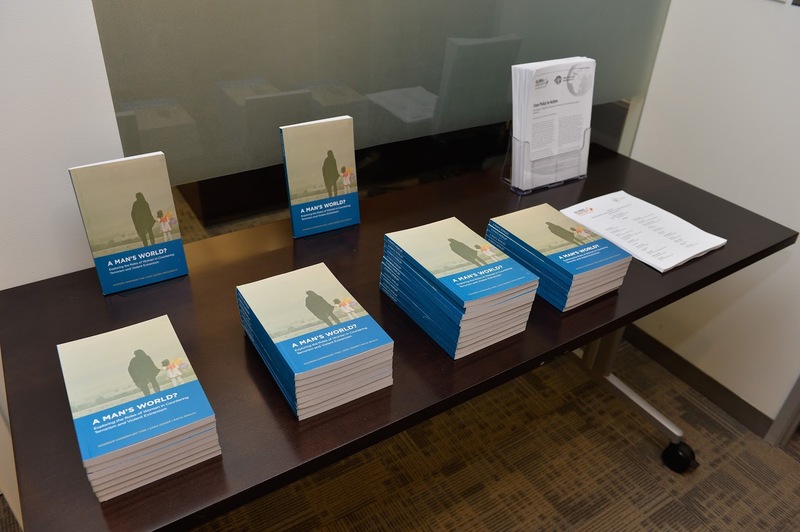 The Global Center together with Hedayah launched an edited volume of essays exploring the roles of women in preventing and countering terrorism and violent extremism. Editors, Naureen Chowdhury Fink, Sara Zeiger, and Rafia Bhulai, shared key findings and recommendations at launch events in Washington DC and New York City on 12 and 14 July respectively. The collection of essays draws on examples from a number of countries and regions to offer policymakers and practitioners a set of lessons learned and recommendations to inform ongoing policy and programming discussions on women, peace, and security as well as counterterrorism. The following authors contributed chapters to this volume: Chantal de Jonge Oudraat; Sahana Dharmapuri; Edit Schlaffer & Ulrich Kropiunigg; Jayne Huckerby; ‘Kemi Okenyodo; Mariam Safi; Erin Marie Saltman & Ross Frenett; and Guillaume de Saint Marc and Stephane Lacombe. During the Washington, D.C. launch, opening remarks were delivered by UAE Ambassador to the United States H.E. Yousef Al Otaiba and Ambassador Melanne Verveer, Executive Director of the Georgetown Institute for Women, Peace, and Security. The discussion focused on the challenges and opportunities in undertaking this work in complex environments and the need for a deeper understanding of the motivations of women in their varied roles, including as supporters, perpetrators, and preventers. In New York, UAE Permanent Representative to the United Nations H.E. Lana Nusseibeh opened the panel discussion for the launch. Anne Chris Visser, Legal Officer at the UN Counter-Terrorism Committee Executive Directorate served as a discussant and reflected on the book and discussed the United Nations’ efforts in advancing a gender dimension within counterterrorism and countering violent extremism practices. Discussions highlighted gender and counterterrorism in relation to multilateral peace and security efforts, and underscored the need to ensure implementation of key policy frameworks including UN Security Council Resolution 2242 and the UN Global Counterterrorism Strategy. To access the full book click here.